Engage and Inspire. Build Talent. Collaborate, Leverage Diversity and Inclusion. Be Creative and Innovate. Just a selection of the Syngenta ways of working that are embodied by the Community Science Labs in operation at Syngenta in Huddersfield. 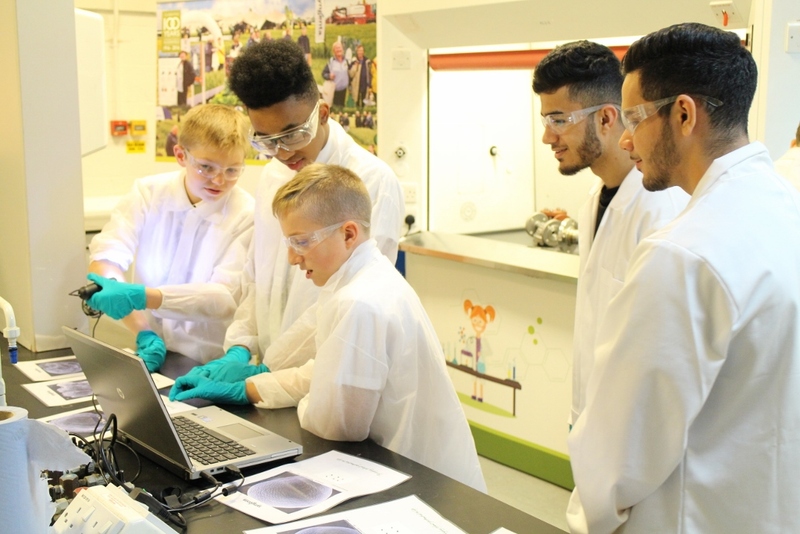 The Labs were established in 2016 for the Site's Centenary Celebrations and since then, have welcomed over 500 students and more than 15 different Kirklees schools. But nothing stands still and the minds behind the Labs have continued to drive value from the experience by widening the way that the Labs can be used. Syngenta Technical Expert, Chris Knight said "Initially, Syngenta Technical Staff were recruited as volunteers to run demonstrations for people visiting the Labs and they offered their knowledge, skills and insights to inspire and engage people into science. This worked really well but what about if we enabled Higher Education students to get involved in running the Labs? So we decided to give it a go." And working in collaboration with local Kirklees College, six students stepped up and volunteered to do just that. The students helped to deliver eight class sessions over four days for local Kirklees schools at the Syngenta premises. Student Paul Bond said "I really enjoyed the sessions. It helps me to learn if I say things aloud a few times and the Year 9 pupils were quite interested when I explained I was studying at College." 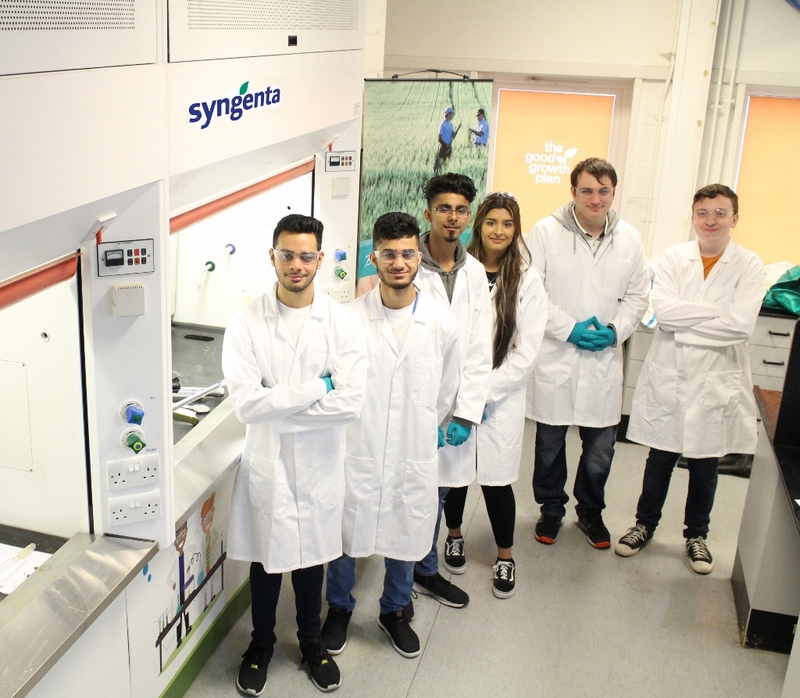 Student Che Singh (pictured far right below) said "It was good to be able to talk to people who work at Syngenta, it helped me to get an impression of what it is like working there and the different career pathways available." Syngenta Graduate Alice Berry said "Understandably, all six students were a little nervous at the start but after the second session, they were really flying and coaching younger pupils on how to run the experiments". The model has proved a great success and Syngenta in Huddersfield now has plans to run similar sessions in the future.